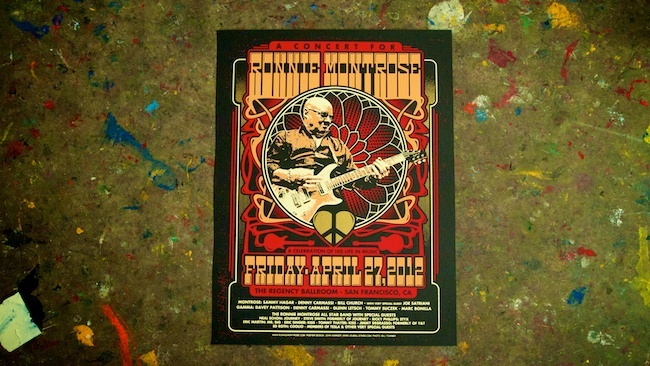 Check out this touching print commemorating the life in rock of the great guitarist Ronnie Montrose. Ronnie passed away this year and J Dub All Stars created this 2-color print for a special tribute concert on Friday April 27th, 2012 at the Regency Ballroom in San Francisco, CA. It was screened with metallic gold on 12.5"X19" black French Paper cover stock.